We live in such stupid times. 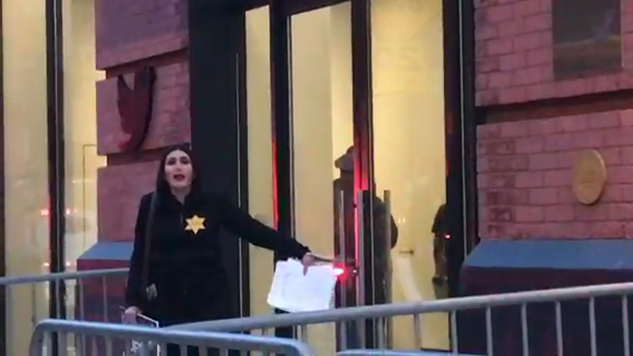 Laura Loomer is a far-right “activist” famous for doing things like getting banned from Lyft and Uber, congressional hearings and now Twitter. She has responded to this most recent ban with the most normal of normal things to ever normally be done by any normal person. Thankfully, there are plenty of funny people to make fun of our very stupid times, and Twitter did not disappoint. Get ready for a dunk contest. Some people don't log off. UPDATE: Twitter dunked on Loomer harder than anyone, telling her that she's free to stand there as long as she wants, and she will not get to fight the legal crusade against them that she so clearly desperately seeks.